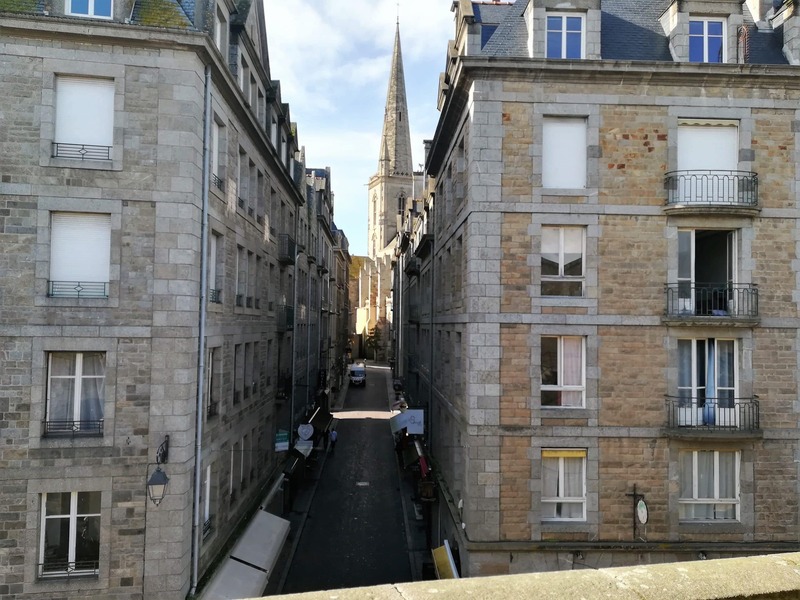 St-Malo, named the Corsair City, the base and hometown of the most famous ship owners and “legal pirates” is an amazing fortified city on the emerald coast in the northern part of Brittany. You will take a walk on the city walls to understand that it is a former island. Your private guide will take you through the maze of the narrow streets that have their own funny stories such as the “Dancing Cat Street”, “Pelicot Street” one of the tiniest where some houses date from the 16th century and by a miracle were not destroyed during World War 2, and many more. You will also appreciate the conception of the“belt” of the fort islands such as la Conchée, le Fort National, Harbour, le Grand Bé, le Petit Bé… that were mainly designed by the engineer Garengeau disciple of one of the greatest french engineers Marshall Vauban who especially designed la Conchée Fort, At low tide you can walk to some of these islands. Then you will head to Rennes the capital city of Brittany. 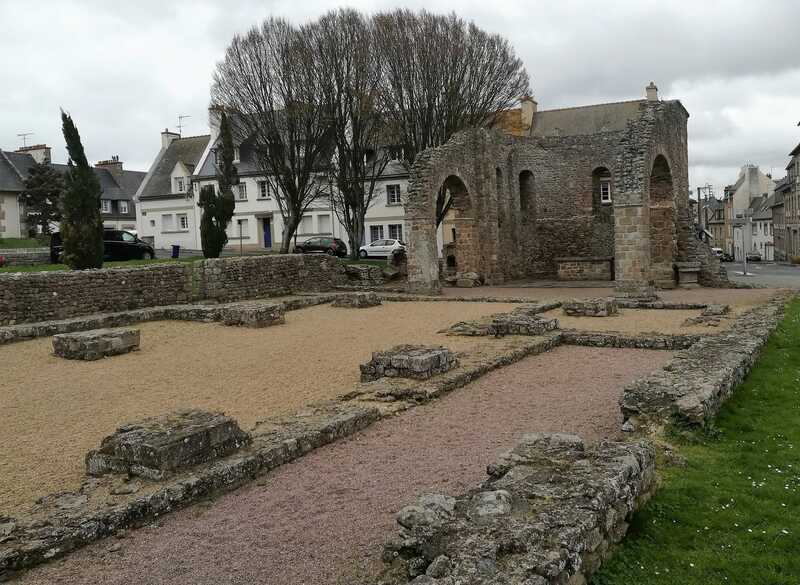 You will enjoy with your private guide a walking tour of the historical and classified center of the capital city of Brittany. You will see one of the highest density of timber frame buildings. You will also have a private guided visit of the Parliament of Brittany nowadays the Court of Justice designed by Salomon De Brosse the architect of the Luxembourg Palace in Paris known as the Senate. In 1720 a big fire was set in the streets of Rennes, it lasted 6 days and destroyed 40% of the city. Gabriel, the architect of the Concorde Square in Paris redesigned most of the areas after that terrible fire. Fortunately, the 15th and 16th century buildings were not damaged during the fire. This guided visit will give a complete picture of the local heritage. You will also have the opportunity, only on the saturdays morning, to get an amazingly effervescentprospective of the city during the market “Des Lices”, the second biggest food market in France. 300 regional producers and 10 000 people meet every saturday in this former medieval jousting place. Then you will head to Dinan one of the most impressive medieval cities in Brittany. It has one of the most preserved central down town with several kinds of timber frame buildings from the 15th to the 17th century. 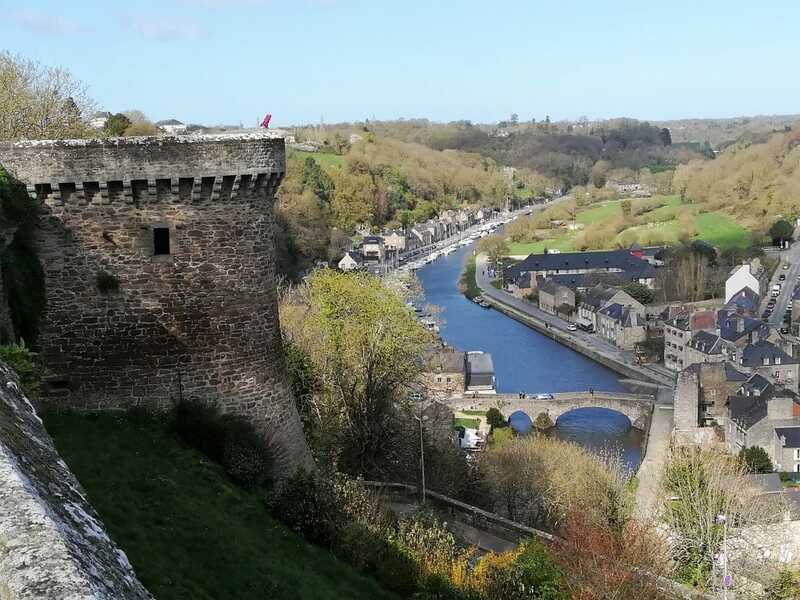 Dinan is located on a 75 meters (220 feet) cliff. From the British Garden near the Saint-Sauveur Basilica you will enjoy the most impressive view of the river Rance and have a very good idea about the trade and the wealth that entered the city from the river port. Dinan is still surrounded by impressive city walls dating from the 13th century, when it was the Dukes of Brittany territory and you can still notice, in the design of the city, the conception of the society itself that was called feudal society with the three social classes known as the Clergy, the Nobility and the “Third World” (everyone that was not part of the Clergy and the Nobility). To end such great day you will enjoy a tasting in medieval cellars of local products such as oysters and Brittany Whisky, Cider or Calvados with a passionate “caviste”. If you rather have “classical tastings” you will enjoy Wine with or without cheese/oysters.